The Assassin's Curse | What YA Reading? To break the curse, Ananna and the assassin must complete three impossible tasks—all while grappling with evil wizards, floating islands, haughty manticores, runaway nobility, strange magic, and the growing romantic tension between them. 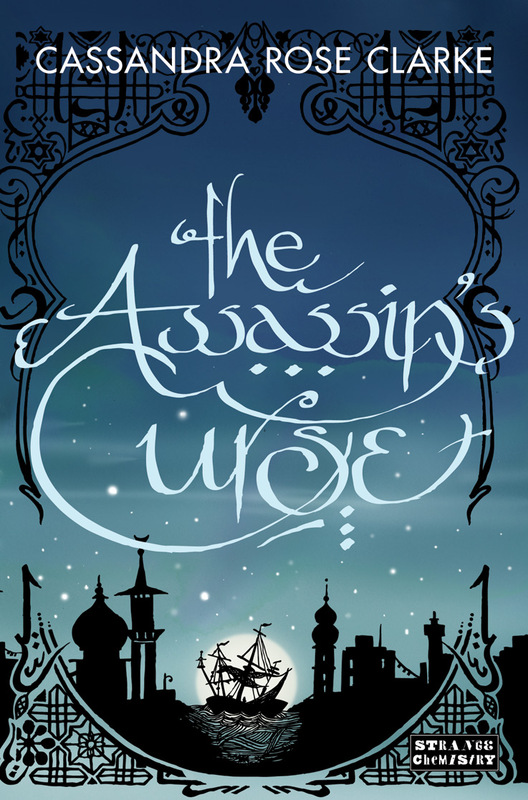 Please note that I received an ARC (advanced reading copy) of The Assassin’s Curse from the publisher, and so all of the aspects on which I am commenting are subject to change. This book’s expected release date is October 2nd (US), so be sure to look out for it! To begin with a little insight on my writing process, I usually start writing a review by reading over a few of my reviews of similar books. This kick-starts my inspiration, helps get the creative juices flowing, is a great way to procrastinate… it’s a great process, really. However, I was scrolling down my Reviews page earlier this morning when I suddenly realized that I had run out of reviews to scroll through, and still had none with which I could compare The Assassin’s Curse. That’s the thing, I guess, about this book: it’s incomparable. As if the pirates, assassins, and getaway camels– all introduced within the first chapter– weren’t enough, us readers are also graced with alluding night markets, near-indestructible war machines, and– wait for it– disappearing shacks. I mean, come on! When’s the last time you read a book involving a disappearing shack? If for nothing else, Miss Rose Clarke is definitely getting my points for originality. Oh, wait– make that points for originality and world building. In the realm of fantasy literature, world building is of the utmost importance; it’s the difference between a good book and a book that you can live in. Given the choice, I would doubtless choose to live in Cassandra Rose Clarke’s world. A pirate confederation, an order of assassins, and an almost Persian-like Empire? Sign me up! My only complaint in this field is the lack of provided intricacies. A pirate custom or example of a pirate clan’s colors here and there wouldn’t have hurt. Ananna of the Tanarau is my kind of protagonist. Taking after her father, an influential pirate captain, she’s bold, she’s sassy, and she’s one helluva of a good pickpocket. Her dream, to become a prominent captain with her own ship and crew, is her top priority– it’s what first drives her to run from an arranged marriage which would limit her choices and her audacity. Ananna is a true, bad-grammar-and-cuss-words-spitting pirate, and she is only ever ashamed for feeling shame for who she is. Her bad grammar actually took a bit of getting used to. I couldn’t stand her narrative for the first few chapters, and still wasn’t completely sold on her linguistics by the end of the novel. I think that Ananna only ever used “isn’t” instead of “ain’t” once in The Assassin’s Curse‘s whole 267 pages; needless to say, I was so elated that I vigorously dog-eared that page and committed the sentence to memory. I greatly enjoyed the fact that, although Ananna herself is just as self-confident as your typical YA love interest, Naji has the low self-esteem of your classic YA heroine. This role reversal is undeniably a much-needed refresher in YA literature, as it provided our two main characters with a certain depth and sparkle. Naji’s lack of self-assurance stems from a terrible scar marring half of his face. Other than this important detail, however, and his blatant mysteriousness, we don’t discover all that much about Naji. I would have liked to have found out a bit more about Ananna’s beau. Nonetheless, I’m excited to see more of him in the planned sequel, titled The Pirate’s Wish. I have one last issue with The Assassin’s Curse: its synopsis. It gave way to much away and therefore made any would-be surprises deeply unsatisfying. And “haughty manticores”? I just googled the word “manticore” and, forgive me if I’m mistaken, but there were none in this novel. All in all, The Assassin’s Curse is a 4.7/5 star must-read, once it hits the shelves. If this is the standard at which Strange Chemistry (an up-and-coming YA imprint and this book’s publisher) has set its novels, then I can’t wait to read more of them. A big thank you to Strange Chemistry for the ARC! 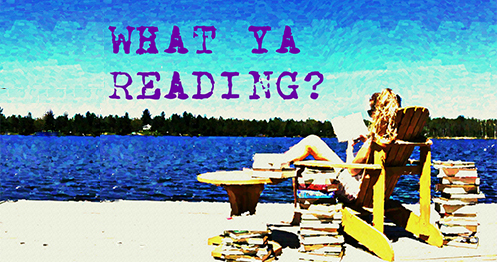 Pingback: Author Interview with Cassandra Rose Clarke | What YA Reading?